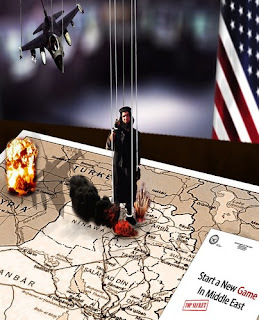 On February 15, 2019, The Military Times reported that U.S. forces occupying Syria, along with some of their "allies" were holding about 1,000 ISIS fighters. With Syria becoming unified under its legitimate government, the question now is: What do we do with the terrorists? Release them? Imprison them? Send them home to one of the dozen or so countries that contributed them? Pack them off to Guantanamo Bay, as one U.S. Senator, Tom Cotton suggested? In the American Herald Tribune of February 1, 2019, C.J. Werleman asked "Could ISIS be the United States’ next ally in its war against the Taliban and other insurgent groups?" Citing Taliban and Russian assertions, he noted that the U.S. had ferried arms and supplies to ISIS groups operating in Afghanistan. Continuing, Mr. Werleman said, "that the Iranian English language news service Tasnim News Agency published a report alleging US forces operating in Afghanistan carried out a secret military operation...which helped ISIS inmates escape the prison the Taliban held them in." Esteemed Reader, the United States of America created Islamic Terrorism. What 's worse is that America then worked closely with Saudi Arabia and Pakistan's Inter-Services Intelligence (ISI) to train and supply it. Look back to what people think is the past. In the 1980s, the U.S. wanted to move its National Security Agency (NSA) signals intelligence listening posts from Iran, lost through the fall of the Shah, to Afghanistan. Unfortunately, the Soviet Union was occupying that latter country. The obvious solution was to remove the Soviets, give them their own Vietnam, and let the Watchbirds watch (or listen). How Did Presidents Carter and Reagan Handle This? With Osama bin Laden's help (and that of the State Department), they recruited wild men from all over the world. They used American diplomatic posts in Saudi Arabia, principally in Jeddah, on the Red Sea coast. These issued visas to enter the U.S. for training at military facilities. Additionally, there were 52 recruiting offices in the United States, including one in Washington, D.C. Then, they were called mujahidin (those engaged in the struggle). Using American and other countries' weapons, the "muj" eventually pushed the USSR's army back across the Amu Darya river into the Soviet Union. Then, the United States was left with a well-trained cadre of terrorists able to shoot things down and blow things up. The choice then was to let them go, send them home, or use them to destabilize and overthrow countries Washington didn't like. This was the birth of what this author calls the Arab-Afghan Legion. The Legion saw its first action in the former Federal Republic of Yugoslavia. Osama bin Laden plus about 5,000 Saudis and others moved into the country, worked closely with NATO, and helped turn a real country into a series of dysfunctional statelets. Well, it's more than Afghanistan. It's also re-branding of the muj to Al-Qaeda and then to ISIS, then sending them off to fight new enemies. Iraq. The United States moved Osama's Arab-Afghan Legion from Yugoslavia to Iraq. According to Professor Edmund Ghareeb, Al-Qaeda didn't exist in the country until the American invasion of 2003. Working with the Marines, British Special Forces, and former officials involved with the Central Intelligence Agency (CIA) death squads in Central America, U.S. policy helped destroy Iraq, the Land Between Two Rivers. American Marines create their own militias, the British broke captured terrorists out of jail, and John Negroponte, then ambassador to Iraq and formerly to Honduras, imported into Iraq men who had helped him run death squads in Honduras. Terrorists captured while crossing the Iraqi border were freed by U.S. soldiers and secretly flown elsewhere. Libya. 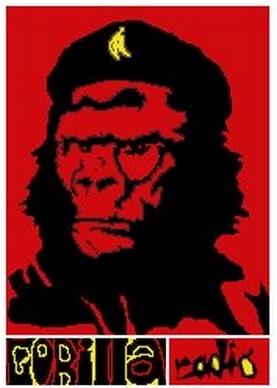 Deciding that Moammar Gaddafi had to go. He didn't fit the American view of leader. Gaddafi had established the highest quality of life in his country than could be found in all Africa. He was seeking to organize the continent behind his management. Fighters trained in Afghanistan and Yugoslavia and Iraq suddenly appeared in Libya. The U.S. and NATO and their secret intelligence services so supplied the "rebels" with such quantities of weapons that their arms exceeded those held by the British army. Syria. In Shia member Bashar al-Assad's socialist state, the only Arab holdout against American Middle East policy, suddenly uprisings began all over the country. Then, experienced fighters with ties to the Arab-Afghan Legion began battling the legitimate government and its forces. Weapons were transferred from Libya to Syria and the American ambassador, once political counselor in Iraq, began working with "dissidents". The 1,000 ISIS members now held in Syria aren't going to be disposed of. So many men trained in the skills necessary to destroy entire countries are too valuable to waste. They're going to be used. Likely not in Morocco. That country, monarchical and conservative, fits the American pattern of "allies". But Tunisia has bountiful "Islamic militants" and corruption. Algeria is lumbered with its ailing, problematic economy, jihadists, and absolute presidential control. It has an aged, infirm president and a secretive group of power brokers around him. Jordan is too useful to the Americans as a staging and training area for its attacks on Syria. Short of an outright war, which might cost Israel and the U.S. dearly, the 1,000 captured ISIS members have the best chance of bringing about "regime change" in Iran, along with help from the sanctions targeting the economy. They're cheap, well-trained, and easily disposed of. About three decades ago, I taught writing at one of Chicago’s alternative high schools. It’s easy to recall some of their stories—fast-paced, dramatic, sometimes tender. I would beg my students to three-hole-punch each essay or poem and leave it in a binder on our classroom shelf, anxious not to lose the documentation of their talents and ideas. Some of the youngsters I taught told me they were members of gangs. Looking down from the window of my second-floor classroom, I sometimes wondered if I was watching them selling drugs in broad daylight as they embraced one another on the street below. Some three weeks ahead of the first round of the Ukrainian presidential elections on March 31, the most recent polling of voters in Ukraine reveals that actor-comedian Volodymyr Zelenskiy is now leading a crowded field of 44 presidential candidates. According to the Rating polling agency, 25.1 percent of potential voters support Zelenskiy. The second place is almost evenly split between current President Petro Poroshenko and former prime minister Yulia Tymoshenko who both received support from just over 16 percent of those polled. As none of the candidates are expected to garner an outright majority to win the first round, a second runoff round between the top two candidates will almost certainly be held in May. Reflecting widespread disillusionment with the country’s official politics, 31.9 percent of respondents said they did not plan to participate in the elections at all. Prior to his entrance into politics, leading candidate Volodymyr Zelenskiy had worked his way through a series of Ukrainian popular television shows to become one of the country’s most famous media figures, hosting his own programs and producing shows and movies for viewing in both Ukraine and Russia. 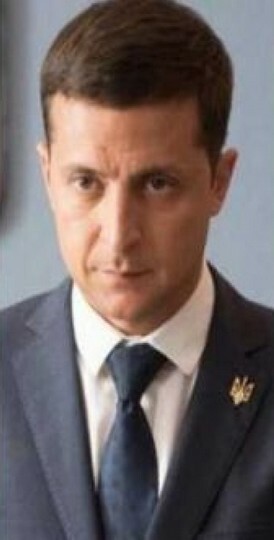 Foreshadowing his current political campaign, in 2015 Zelenskiy appeared in a TV series called “Servant of the People” in which he portrayed a high school history teacher who unexpectedly becomes president of Ukraine after a viral video spreads showing him criticizing corruption in the country. That a popular entertainment figure such as Zelenskiy has become the frontrunner, is indicative of the advanced political and social crisis in the country. The political establishment, which is associated with both Poroshenko and the former prime minister Tymoshenko, is widely hated and discredited. Several polls have shown that there are more people who dislike and would refuse to vote for the next two closest candidates, Poroshenko and Tymoshenko, than people who actually support them and would be willing to vote for them. Zelenskiy has been able to garner support for his criticism of Poroshenko’s promotion of far-right nationalism and an overt war drive against Russia, as well as by tapping into widespread social discontent by exposing corruption. Zelenskiy is a native Russian speaker and generally speaks and performs in Russian. His comedy regularly lampoons the obvious corruption of the country’s ruling class and criticizes the exclusionist, violent and reactionary nature of Ukrainian nationalism. He has previously spoken out against the country’s banning of Russian language media and has called for language rights to be protected in traditionally Russian-speaking areas of the country, such as in eastern Ukraine. In stark contrast to Poroshenko’s full backing of the bloody five-year-long war in the Donbass, Zelenskiy’s campaign has called for a cease-fire and negotiations while maintaining that both the Donbass and Crimea should be returned to Ukraine. He also announced that he was willing to engage in direct negotiations with Russian President Vladimir Putin over East Ukraine. However, despite his social and political demagogy, Zelenskiy is running as a candidate of a section of the Ukrainian oligarchy. While Zelenskiy is now demagogically criticizing Poroshenko from the left, he previously supported both the Western-backed Maidan and the war in the Donbass. He has said little about his plans for the country’s devastated economy that would differentiate him from other candidates and speaks in purposefully vague terms regarding his actual political agenda. Ukraine is currently the poorest country in Europe and the working class is being subjected to various IMF-enforced austerity measures. Exposing his real political orientation toward sharp attacks on the working class, according to Bloomberg, Zelenskiy has cited French President Emmanuel Macron and Brazilian far-right president Jair Bolsonaro as role models for his politics. Zelenskiy enjoys what he calls a close “working” relationship with billionaire Ukrainian oligarch and former head of Ukraine’s PrivatBank Ihor Kolomoyskyi. Zelenskiy’s shows appear on Kolomoyskyi’s 1+1 television and he made his campaign announcement on the same channel. Kolomoyskyi also enjoys close ties with another presidential candidate and former prime minister, Tymoshenko, and many Ukrainians speculated that Zelenskiy’s entrance in the race was just a ploy to tear away support from Poroshenko and ensure a Tymoshenko win. While both Zelenskiy and Kolomoyskyi have denied that they have any quid pro quo agreement in the elections, a member of Petro Poroshenko’s political party revealed on Monday that Kolomoyskyi’s PrivatBank previously transferred $41 million to bank accounts of a film production studio belonging to Zelenskiy. Kolomoyskyi was later accused of stealing $5 billion from PrivatBank and fled the country. He is now living in Israel after coming into conflict with the Poroshenko regime. It is widely speculated that Kolomoyskyi is backing both Tymoshenko and Zelenskiy to be able to return to Ukraine and regain control over his vast business empire. Especially because of Zelenskiy’s declared stance on the war in East Ukraine and on Russia, the possibility of his winning the election is viewed with a great deal of nervousness and suspicion by the imperialist powers and has already triggered discussions about a renewed intensification of direct imperialist intervention in the country to prevent any reorientation of Ukrainian foreign policy that would run counter to the immediate interests of imperialism. The Washington-based think tank Atlantic Council , which has earlier made a case for a Tymoshenko presidency, warned that a Zelenskiy presidency would be a “disaster for Ukraine.” It noted menacingly that, in the case of a deadlocked and fragmented legislature coming out of the parliamentary elections in the fall, “another Euromaidan Revolution” would become “perfectly possible, perhaps even within a few months of Zelenskiy’s election. 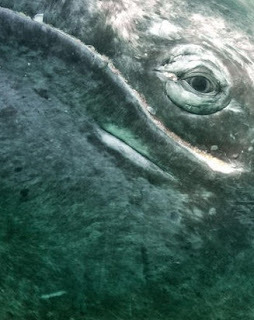 Every year in March, despite numerous complaints, both U.S. and Canada conduct Military Firing Practices off the West Coast of Canada in the middle of the whale migration. These gentle giants, mostly Grey Whales as well as some Humpbacks and others, many with their newborn young, migrate Northwards along the coast at this time of year in their great annual migration. The whales, along with many other marine species, are following the once great herring migration. At the very same time, the military decides to do their annual testing of rockets, bombs and other artillery at sea in the same area, just off the coast. I live on an island near Long Beach and Tofino and often hear and feel the tremors and blasting taking place out on and in the Pacific Ocean. The whales, with their acute hearing for long distances, are severely disturbed by this practicing war zone taking place offshore, judging from research done on seismic testing and marine life in Hawaii. It is likely that the herring migration, the sea lions, the halibut, cod and many other species which depend upon the herring and follow them along and into the coastline, are deeply affected by the blasting too. I would imagine that they would attempt to take refuge in inside waters or away from the direct energy and effect of the noise and impacts. There have been reports of young whales being found dead onshore near the areas where this is taking place. It is time to stop this practice at such a crucial time of year here and bring some sense of respect to the ocean environment and what is left of the marine life struggling to survive amidst the plastics, radioactive waters pouring into the sea from Fukushima, sewage, fish farm diseases and a myriad of other human created disasters they are dealing with. Give them respect as well as space and a chance for survival in these challenging times. The anger did not emanate only from the Center, Left and Arab parties, but from some in the Right as well. Even the pro-Israel lobby in the US, known for its hawkish political views, spoke out against the sinister union. His Kach party, banned in Israel four years after its formation in 1984, was even then not rejected for its “racist policies” as many in the media are now suggesting. 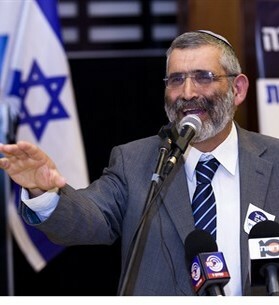 The party operated outside the confines of the Israeli government agenda, thus it was forced out, but its violent ideas persisted in the Knesset until this day. If racism against Palestinians was truly a Kach-championed political anomaly, how is one to explain the racist Nation-State law, which defines Israel as a “the nation-state of the Jewish people” – elevating everything Jewish and degrading everything Palestinian? But isn’t this essentially the same view of Ayelet Shaked, Minister of Justice in Netanyahu's coalition, and now one of the leaders of the newly formed “New Right” party? In 2014, just before Israel unleashed its most destructive war on the besieged Gaza Strip, Shaked declared the need for a total war. Ramzy Baroud is a journalist, author and editor of Palestine Chronicle. His latest book is The Last Earth: A Palestinian Story (Pluto Press, 2018). He earned a Ph.D. in Palestine Studies from the University of Exeter (2015), and is a Non-Resident Scholar at Orfalea Center for Global and International Studies, UCSB (2016-17). Terrorism didn't begin on 9/11, but the World did indeed change that day. The United States and its allies, since September 2001, have leveraged the coordinated attack against the World Trade Center and Pentagon to usher in security states at home, and endless war across the globe - or what was initially called the Global War on Terror. In the months preceding America's retaliatory bombing and invasion of Afghanistan, (the alleged base of operations of the attack's perpetrators) millions across the planet came out into the streets, imploring the George W. Bush administration stay its hand until a proper investigation provided proof of culpability. Dr. T.J. Coles is an Associate Researcher at the Organisation for Propaganda Studies, a columnist for AxisOfLogic.com, and author. Coles' articles too appear online at CounterPunch, Truthout and Z Magazine, among other places, and his many book titles include: 'Real Fake News', 'Privatized Planet', Britain's Secret Wars', 'The Great Brexit Swindle', and the newly released, 'Manufacturing Terrorism: When Governments Use Fear to Justify Foreign Wars and Control Society'. Last month, author, editor, and visionary futurist, Heidi Toffler died. She and husband Alvin were perhaps best-known for the 1970 book, Future Shock which, among other things, envisioned a near-future world where exponentially advancing computer technology combine with communications, mass media, and economic mechanisms to create an unprecedented convergence; the genesis of an integrated, global society. While the Tofflers didn't live to see the fruition of the modern renaissance they predicted, it seems likely you and I will. Dr. John Henry Clippinger is, by the reckoning Alvin and Heidi Toffler, just the man for our changing times; holding senior positions in big business, central government, and in the entrepreneurial sector, founding not one, but four technology companies. Dr. Clippinger is too allied with several policy foundations, and academic institutes, most notably at Harvard and Harvard Law School, Brandeis' Florence Heller School, and the MIT Media Lab, where he works as a research scientist, and co-founded ID3 (cubed) with Sandy Pentland. John too recently founded the Token Commons Foundation to "develop protocols for decentralized governance and self-sovereign identity", and serves as advisor to Bancor, Atonomy, Cashaa, Decentralized Pictures, DCP, and Evident Proof. He's co-editor, with David Bollier of one of the first books, 'From BitCoin to Burning Man', attempting to explain the potential of the Blockchain and self-organizing, distributed systems of governance, and author of 'A Crowd of One: The Future of Individual Identity', and 'The Biology of Business, Natural Laws of Enterprise'. 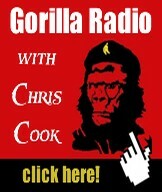 And; Victoria-based activist and long-time Gorilla Radio contributor, Janine Bandcroft will join us at the bottom of the hour to bring us up to speed with some of what's good going on in and around our town in the coming week. But first, T.J. Coles and manufacturing consent, (with terrorism?). It is now a year since the events in Salisbury that shocked the nation, and indeed the world. Since then, your organisation has conducted an investigation into the case, and has laid out a case about what happened in a series of statements, notably those made on 5th September (no longer available on your website), in which two suspects were formally accused, and another on 22nd November, following the screening of the Panorama documentary: Salisbury Nerve Agent Attack — The Inside Story. To those who have a superficial interest in the case, the explanations you have presented for what happened on 4th March 2018 may appear credible, especially since the British media has largely repeated them verbatim, even when they have been self-evidently flawed and contradictory. Indeed the press has steadfastly refused (or been refused) to ask some very obvious and much needed questions about them. But to those who have spent time looking at the incident, the explanations you have set out contain glaring omissions, factual errors (see here for more detail), and at least one scientific impossibility (more on this below). What I wish to do in this letter, is to set out some of the most important, and which I believe you owe it to the public to explain. Why have we heard nothing from Sergei Skripal? The most glaring problem with your case is the disappearance of Mr Skripal himself — and yes “disappearance” is the right word. It is now 12 months from the original incident, and about 11 months since it was announced that he had recovered. During that time there have been zero public appearances and — curiouser and curiouser — not even one public statement put out in his name. Additionally, it is known with certainty that he has not been in contact with his mother back in Russia — not on her birthday, not at New Year and not at Christmas — which has caused her great distress. This is not just odd; it is highly disturbing, especially given that Mr Skripal was said to be in the habit of contacting his mother every week prior to 4th March. Firstly, are we seriously expected to believe that the UK Intelligence Agencies are incapable of protecting Mr Skripal’s whereabouts and his safety, whether in a statement, a pre-recorded video, or in a call to his mother? The idea is self-evidently ludicrous. Secondly, these apparent “security concerns” were somehow overcome with Yulia Skripal. 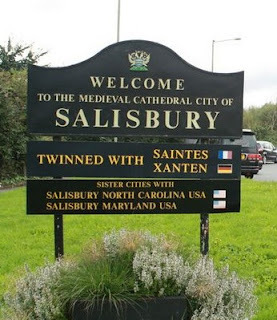 Not only was a statement released in her name upon departure from Salisbury District Hospital, followed by a Reuters video of her reading out a pre-prepared statement, but she was also allowed reasonably regular contact with her family, including her cousin and grandmother — up to 24th July last year (that is, up to the point that she told her cousin that she “now understood everything”). If Yulia’s security can be protected, there is no reason that Sergei’s security can not also be guaranteed. It is also worth noting that neither Sergei nor Yulia have once endorsed your explanation of the incident. Sergei has been silent, and as for Yulia, far from endorsing your version, in none of her statements or phone calls has she ever pointed the finger of blame at the Russian state for an assassination attempt on her and her father. In fact, she has repeatedly expressed a desire to go back to live in Russia — a very strange desire given what you claim happened to her, wouldn’t you agree? To all intents and purposes, both Sergei and Yulia Skripal have now disappeared without trace — he since 4th March 2018, and she since 24th July 2018. In the absence of any plausible reason for this, it is reasonable to consider them both as being held against their will, without consular access, without legal representation, and without the ability to contact their next of kin. Needless to say these are very serious issues, and if confirmed would put the United Kingdom in breach of a number of international legal obligations. Yet there are of course very obvious steps that could be taken to assure the public that this is not the case. And so I simply ask you this: what credible reason can you give as to why nothing has been heard from Mr Skripal since 4th March? Why has he been unable to contact his mother? And what credible reason can you give as to why Yulia appears to have been denied contact with her family since 24th July? Why won’t you show where the suspects were going? Your organisation has repeatedly stated that the CCTV footage of the two suspects at the Shell Garage on the Wilton Road shows them “in the vicinity of” and “on their way to” Mr Skripal’s house (or “the Skripal’s house” as statements bizarrely keep referring to it. Who, may I ask, is “The Skripal”?). This is misleading on two counts. Firstly, the footage actually shows them some 500 yards or so from 47 Christie Miller Road, which cannot be conceivably described as “in the vicinity” in terms of proving that they actually went to the house. This evidence would not convince a discerning jury. Secondly, it does not show them “on the way” to Mr Skripal’s house either. It is possible that they did go there, but the CCTV footage does not show this, since it gives no indication that they were preparing to cross the Wilton Road, which they would have had to do to get to Christie Miller Road (either via the passage to Montgomery Gardens or via Canadian Avenue). Had the two men crossed the Wilton Road to go through the passage to Montgomery Gardens, or even via Canadian Avenue, this camera would have recorded it. Had this camera recorded them going through either route, although it still wouldn’t have been conclusive proof that they went to number 47 Christie Miller Road, much less what they may have done had they gone there, it certainly would have been far more credible than the footage you did release. Yet you have chosen not to show it. Can you tell us why, and also whether the footage taken by this camera on the right of the building backs up your claims that they were “on their way” to Christie Miller Road? The issue of CCTV is not just confined to what was and wasn’t shown of the two men on the Wilton Road, however. It remains a curious fact that aside from this and the other footage of them on the bridge at Fisherton Street — which by the way were released nearly nine months after the event — you have not released one bit of proper footage of the Skripals or other related events that day. This is extraordinary, for a couple of reasons. Firstly, such footage most certainly does exist. For example, there exists “really clear footage” of Sergei and Yulia Skripal feeding ducks with some local boys on the afternoon of 4th March, next to the Avon Playground. The time of this footage was around 13:45 which — it should be noted — is approximately 20-30 minutes after the Skripals were said to have come into contact with a nerve agent on the door handle of their home (more on this below). Secondly, in the early days of the investigation, a number of places in the city centre were mooted as possible locations for the poisoning (namely Zizzis, The Mill pub, and the bench itself). However, despite the fact that “really clear” CCTV footage of these areas undoubtedly exists, and despite the fact that the public were being asked to come forward with information, you showed not even a second of footage of the pair in that area. The public were therefore being asked to come forward with information about two people who were on CCTV and could be clearly identified by it, but without so much as a few seconds of this CCTV being shown so that they could see what they looked like, what they were wearing, and where they were going. All this simply adds to the nagging suspicion that this CCTV shows things that would cast huge doubt on the explanations you have given. However, it is even worse than this. In the first few days after the incident, CCTV footage was released of a couple walking through the Market Walk at 15:47, and it was stated by more than one news outlet that the pair were the Skripals. Of course it wasn’t them, and yet — given some witness statements that followed — these people were undoubtedly somehow involved in the events that followed. Yet, important as they were, they were quickly forgotten about in the days after that grainy CCTV footage of them was released, and were subsequently never mentioned by the media or the police thereafter. Why is this, since witness testimony leads to the belief that they were something to do with what happened? What we have, then, is what you have described as a “fast moving” and “complex investigation”, in which you repeatedly appealed to the public for information, and yet refused to show the public anything of the CCTV footage that exists, which may well have helped to jog memories and so aid you in your investigations. Furthermore, since the explanation you have given for what happened (poisoning at the door handle) implies that nothing of note happened in The Maltings (other than the collapse at the bench), reasons of “national security” simply cannot apply. Therefore, what reason can you give for not showing CCTV from The Maltings to the public when you were appealing for information? I mentioned above the CCTV footage taken of the Skripals at 13:45 on 4th March at the Avon Playground, which is in The Maltings. This is one of the most interesting incidents in the whole case, for a number of reasons. Firstly, as already stated, the footage shows Mr Skripal and his daughter feeding ducks, with Mr Skripal actually handing bread to three local boys, one of whom apparently ate a piece, but none of whom became contaminated. This clearly suggests that Mr Skripal was not contaminated with nerve agent at that time. Secondly, it shows Yulia carrying a red bag, which may seem inconsequential, but for the fact that the female caught on CCTV in the Market Walk (who wasn’t Yulia) was also carrying a distinctive red bag. Not to put too finer point on it, given Mr Skripal’s tradecraft, duck-feed plus distinctive red bag has a definite “signalling to someone” quality about it. Thirdly, and most remarkably of all, given the nature of your claims, at the same time as they were feeding ducks, the two suspects — Petrov and Boshirov — were in close proximity. And when I say close proximity, I mean far closer than the distance from the Shell Garage to 47 Christie Miller Road, which you describe as being “in the vicinity”. How so? According to the image you released of the two men at 13:08, they were standing at the entrance to Summerlock Approach, which happens to be the road that leads to the Sainsbury’s car park, which happens to be the car park where Mr Skripal parked his car approximately 32 minutes later. They were then seen on CCTV obtained by the media walking past Dauwalders (coin and stamp shop) on Fisherton Street at 13:48. Crucially, they were coming from the direction of the town. What this means is that after being photographed at Summerlock Approach, instead of walking directly to the train station, as your timeline suggested, they went back into town, either by doubling back down Fisherton Street, or by walking in a loop through Summerlock Approach, across the car park, and through the Maltings, before heading back to Fisherton Street via Malthouse Lane. Dauwalders, where they were seen at 13:48, is less than 200 yards from the Avon Playground, where the Skripals were filmed at 13:45. And so we have the intriguing prospect of the two alleged assassins passing less than 200 yards from the pair they are alleged to have tried to assassinate, within 3 minutes of one another. Furthermore, given that the two suspects were coming from the direction of town when they passed the shop, it is entirely possible (although by no means certain) that they had actually come from the area of the Maltings, and therefore that they had, just moments before, been in even closer proximity of the Skripals. The fact that the two suspects were closer to the Skripals at between 13:45-13:48 than they were at 11:58 outside the Shell garage, is of course extremely interesting. But what is particularly troubling about this episode is what your organisation has done with this information. Firstly, you have left it out of your timeline, never once mentioning that the Skripals had taken a detour to feed the ducks — and it is indeed a detour if you are walking from Sainsbury’s car park to Zizzis or The Mill — and never once mentioning that the two suspects were in that area at the same time (which is really odd, given that you are trying to make a case against them). But secondly, although this incident was ignored in your timeline, as if it were trivial, it was obviously highly significant. 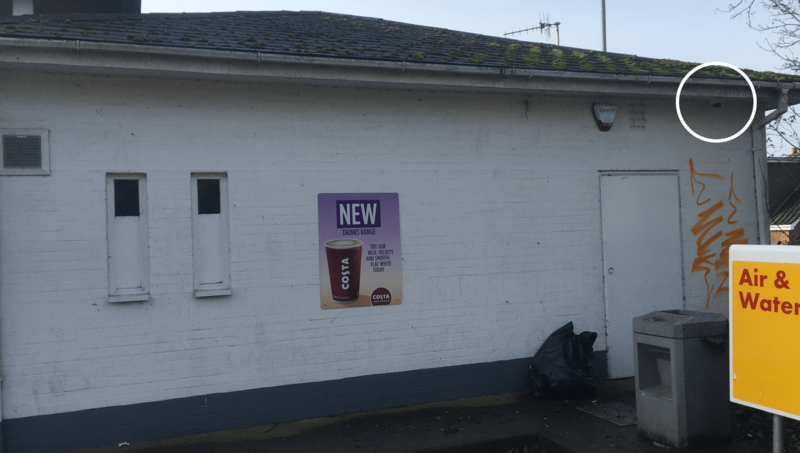 The reason we can be sure of this is that on the day following the incident (5th March), a large number of military personnel were extremely focused on the bin next to the Avon Playground as these videos — here and here — make clear. Why that bin, which is a significant distance from the bench (50 yards or so), and why was it such an object of intense focus? To leave this location out of your timeline, and to fail to inform the public of the close proximity of the suspects to the Skripals at the time of the duck feed, is frankly bizarre. What credible explanation is there for this? I mentioned at the start that alongside the factual errors, glaring omissions, and inconsistencies in your case, there is also an impossibility. That is the explanation that the assassination attempt was carried out using a nerve agent sprayed on the door handle of 47 Christie Miller Road. Leaving aside the absurdity of what has been described as an “oily substance” being sprayed by an atomiser (how does that work? ); leaving aside the ridiculousness of people actually spraying it without wearing proper protective clothing; leaving aside the silliness of supposing that the deed was done in broad daylight whilst Mr Skripal and his daughter were in the house; leaving aside the difficulties involved in having both victims touching the door handle on their way out of the house; and leaving aside the frankly preposterous notion that having apparently done their deed, instead of leaving Salisbury immediately, the two men then walked across town, and rather than dumping the open bottle of “Novichok” they had apparently used, they allegedly dumped a bottle they hadn’t used (remember, Charlie Rowley’s box was, according to him, cellophane wrapped) — leaving all those irrational propositions aside, as I say there is an absolute impossibility in what you are asking us to accept. These statements, taken together, mean that your explanation is an absolute impossibility. If 2mg of “Novichok” is enough to certainly kill a person, as Mr Mirzyanov stated (corroborated by Deputy Assistant Commissioner Haydon who said there was enough in the bottle to kill thousands), then Mr Skripal and his daughter should be dead. If the reason they aren’t dead is because “Novichok” breaks down in damp conditions, then it is impossible for the OPCW to have found a substance that hadn’t broken down, which was of “high purity”, and which is resistant to weather conditions. There is simply no way you can square these things. If it didn’t kill the Skripals because it had broken down in damp conditions, then the OPCW can’t have found a high purity substance that is persistent and resistant to weather conditions. But since the OPCW claim that this is exactly what they found, then it can’t have broken down in damp conditions and lost its toxicity, can it? One or the other, but not both. Unless you can prove that a substance can lose its toxicity in just over an hour due to dampness (from the time it was allegedly sprayed to the time it was allegedly touched), only to regain its toxicity and be found to be resistant to weather conditions two weeks later, no rational person can possibly be expected to believe this explanation. It is obvious nonsense, utterly impossible, and discredits your entire account of what happened on 4th March. Along with other members of the public, I would love to be able to believe that your investigation has been based on all the evidence available, and that its conclusions (so far) are credible. Sadly, however, this is not possible, as the above issues (and plenty of others) demonstrate. It was quite obvious from the outset, when the Government came to a conclusion before any evidence had been properly assessed, that any subsequent investigation had already been politicised. There was therefore little hope that the investigation would be impartial, and that if evidence was found to contradict the Government’s assessment, that it would be presented. But since these elements have not been a part of your investigation, the public can have no confidence in your explanation and assessment of what happened on 4th March 2018, and has every right to suspect that they are part of what essentially appears to be a politically-driven cover up. That really is a great shame, not only in terms of understanding what really happened in the Salisbury and Amesbury incidents, but also in terms of the denting of trust in your organisation, and the authorities in general, in the long-term. I would like to hope that this potential denting in confidence in your organisation’s integrity in handling this case, which surely cannot give you cause for celebration, would lead you to take the initiative in now providing a more credible account of what took place. "We'll Be Stuck in a Loop of Birthing Our Young Only to Kill Them"
In this interview, the author describes how young Indians have ripped off the band-aid and forced us to look hard at the wounds we inflict on each other. Young people across the country are protesting over jobs, reservation policies, and personal freedoms. Is this a new phenomenon, or has it been simmering for a long time? We are a nation that continuously ignores the fissures in our society. This unrest was always simmering on the many faultlines of caste, gender and religion in our country. Often, they did not register on our collective consciousness because of our sheer apathy towards the major conflicts in our land. It was when Rohith Vemula killed himself that we were forced to wake up to caste in modern academic spaces. There were enough instances in the past where Dalit students killed themselves – pointing to the same chasms which Rohith’s last note revealed. But for us, anti-caste politics meant the Bahujan Samaj Party and Samajwadi Party in Uttar Pradesh – until the Bhim Army rose to prominence in Saharanpur. We were relieved that menstruation was hushed-up – we might even have preferred to pretend that women, who form half our population, did not menstruate at all – until girl students started pinning up sanitary napkins on trees within campuses. The recent protests are only eruptions that have surfaced. The simmering continues. You have covered education and student politics for a few years. How have these fields changed recently? When I started out, the most difficult task was to convince editors that education means more than the academic calendar or the cycle of exams and results. As journalists we too tend to pontificate and tell our student readers to stick to their academic goals and job prospects; why bother about the larger problems in the society? On the other hand, we chase stories of first-time voters and expect them to know all about our democratic process. Over a decade, what I have chronicled is a change in this narrative thanks to student leaders like Rohith Vemula and others who kept repeating that caste exists in educational institutions and that it was killing them one at a time. Because of students like Mahesh Raut and Valarmathi, who were arrested by police under charges of sedition or under Unlawful Activities Prevention Act (UAPA), we are now attempting to say our students are targeted for their activism. This narrative was scarce in the recent past. It is possible now because students have succeeded in making their protests in the living rooms of the general public. What about the issues that young people in Kashmir and the Northeast face – how different, or similar are they to those faced by the youth elsewhere in India? I’ve tried not to disassociate the stories of youth from the histories of their lands. Both the Kashmir Valley and states in Northeast India are backward in terms of opportunities, infrastructure, connectivity and other parameters of development. But the struggles of the youth in these places are not just about these yardsticks of progress; not just about poor prospects of education and employment. In these conflict-stricken areas, the value of humanity is questioned. One is not always treated as a human being. That becomes the central narrative. What should worry us is that even in seemingly placid parts of our country, we harbour similar struggles and conflicts. One example – a well dug inside the University of Hyderabad to suit the beliefs of a Brahmin mathematician – is very revealing of how India’s modernity is marred by ancient dogma of caste. It is against this backdrop that agitations are taking place. When Dalit students celebrated beef festivals, they were not just building a discourse on food cultures and choices; they were telling the larger, dominant-caste society out there that Dalit-Bahujan were the rightful owners of this land and its resources. In my book, I chronicle the tonal similarities between agitations of youth in conflict zones around the country – be it the hinterland or the heartland. The thread that connects these stories is the spirited militant nature of youth protest, and the advent of a new political language that our democracy feared. Is there something that comes across as similar to the youth unrest that happens across the country? The differences stand out, as many of these agitations are unarmed while some are. But I could not help but document the striking similarity in the language of protest. The agitations I have witnessed so far harbour a radical and militant language. When Chandrashekhar ‘Ravan’ Azad stood up on a stage in Jantar Mantar swarming with young people, and asked the government not to force them (Dalits) to take up arms, I sensed a veiled threat. Similarly, an Ambedkarite student leader of JNU, Rahul Sonpimple, had warned in one of his speeches that oppressed sections who have been peacefully protesting should not be forced to bid goodbye to non-violence. 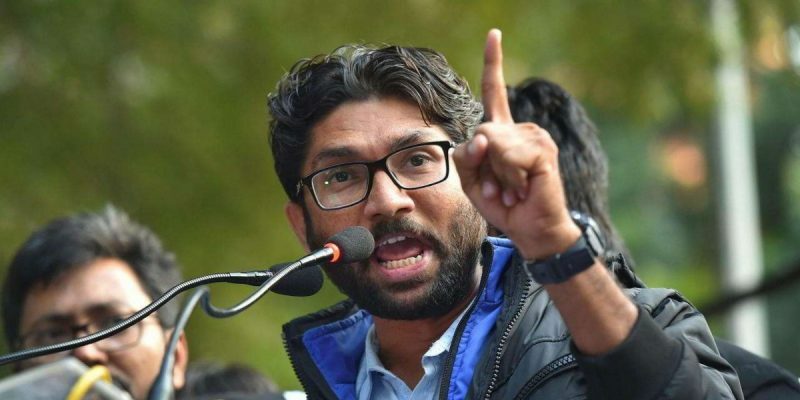 In the mainstream, when an MLA and youth leader, Jignesh Mevani, raised the constitution in one hand and Manusmriti in the other asking Prime Minister Narendra Modi to choose one, he symbolised a defiance which is rare in Indian politics. It was this nature of protest that the ministry of ministry of human resource development targeted with letters enquiring about “casteist, extremist and anti-national” activities in University of Hyderabad, after some students performed a funeral prayer for Yakub Memon. Let me remind you – all these forms of protests fall very much within the purview of our democracy, even if they are militant in their tone. But going by the repression that youth agitations have faced so far, it seems our democracy is not ready for this language. How far have government initiatives like the National Youth Policy been able to address young peoples’ unrest? National Youth Policies (NYPs) are full of contradictions. The NYPs of 1988, 2003 and 2014 are tailor-made to manufacture responsible citizens. These responsible citizens are, however, not envisioned as persons who have their say in our democratic processes. ‘National integration’ is key to all these policies even though they reflect none of the concerns – caste, religion, territorial conflicts – that may have made the said integration near impossible. NYPs want our youth to vote but they limit youth politics to music-band practice in cultural hubs and voluntary work in NGOs. The policies do not scrape the surface of the youth experience in the country. Our policy-makers seem to be the least interested in understanding why our young people are angry or depressed, dying or dead. Towards the end of your book, you write that, “Like countries where the youth bulge resulted in prolonged protests and lasting dissatisfaction among youngsters (Brazil, Tunisia, Yamen, Nigeria), India too could be looking at bleak future of unrest and uprisings”. Why do you think so? India has a youth bulge like many of these countries did in the past. About 50% of our population is below the age of 25-. Theoretically, the youth bulge should give us an automatic advantage and help us reap a demographic dividend in the economy. More people are within the working age group: productive and less dependent on the state for support. But this is high hope if we do not have a plan to provide education and employment. Our future will be marred by unrest because the country seems to be clueless about what it can offer its youth. Budget cuts have crippled our public educational institutions. We have not managed to generate the millions of jobs that our young cohort needs. Young people of oppressed communities are finding it more difficult than ever to access institutions of learning and employment. Moreover, when our youth protest for their rights, we use surveillance and the police force to suppress them. We want our young to be patriotic but do not mind building a nation where lynch mobs kill children. If we do not address the growing angst of our youth – who are strapped down by archaic practices like caste, who are displaced by our development initiatives, whose lands have become military camping – we face a future of agitation, militancy and armed rebellion. That’s what history has taught us. And going by the sheer number of young people who can organise behind one struggle or the other, the intensity of such protests will only increase. We’ll be stuck in an endless loop of birthing our young only to kill them. Nikhila Henry has covered education, student politics and youth unrest for over a decade. She is also the editor of Caste is Not a Rumour: The Online Diary of Rohith Vemula. 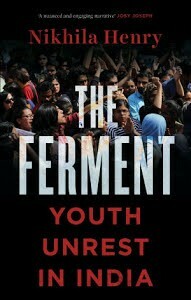 In her latest book, The Ferment: Youth Unrest in India, she documents the ongoing protests and unrest of students and youth across the country. Justin Trudeau’s government is engulfed in a major political scandal that lays bare corporate power in Ottawa. But, SNC Lavalin’s important role in Canadian foreign policy has largely been ignored in discussion of the controversy. The Prime Minister’s Office has been accused of interfering in the federal court case against the giant Canadian engineering and construction firm for bribing officials in Libya. Former attorney general Jody Wilson-Raybould claims she was repeatedly pressured to defer prosecution of the company and instead negotiate a fine. Facing a 10-year ban on receiving federal government contracts if convicted of bribing Libyan government officials, SNC began to lobby the Trudeau government to change the criminal code three years ago. 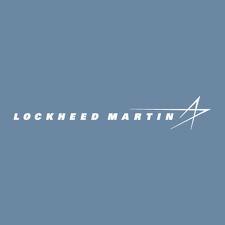 The company wanted the government to introduce deferred prosecution agreements in which a sentencing agreement would allow the company to continue receiving government contracts. At SNC’s request the government changed the criminal code but Wilson-Raybould resisted pressure from the PMO to negotiate a deferred prosecution agreement with the company headquartered in Montréal. Tunisia, Angola, Nigeria, Mozambique, Ghana, Malawi, Uganda, Cambodia and Zambia (as well as Québec). A 2013 CBC/Globe and Mail investigation of a small Oakville, Ontario, based division of SNC uncovered suspicious payments to government officials in connection with 13 international development projects. 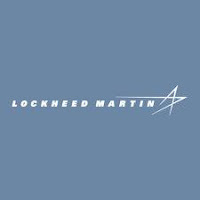 In each case between five and 10 per cent of costs were recorded as “‘project consultancy cost,’ sometimes ‘project commercial cost,’ but [the] real fact is the intention is [a] bribe,” a former SNC engineer, Mohammad Ismail, told the CBC. SNC has been one of the largest corporate recipients of Canadian “aid.” The company has had entire departments dedicated to applying for Canadian International Development Agency (CIDA), UN and World Bank funded projects. SNC’s first international contract, in 1963 in India, was financed by Canadian aid and led to further work in that country. In the late 1960s the firm was hired to manage CIDA offices in African countries where Canada had no diplomatic representation. In the late 1980s CIDA contracted SNC to produce a feasibility study for the Three Gorges Dam, which displaced more than a million Chinese. During the occupation of Afghanistan CIDA contracted SNC to carry out its $50 million “signature project” to repair the Dahla dam on the Arghandab River in Kandahar province ($10 million was spent on private security for the dam). Even SNC’s use of bribery has a made-in-Ottawa tint. For years Canada lagged behind the rest of the G7 countries in criminalizing foreign bribery. For example, into the early 1990s, Canadian companies were at liberty to deduct bribes paid to foreign officials from their taxes, affording them an “advantage over the Americans”, according to Bernard Lamarre former head of Lavalin (now SNC Lavalin). 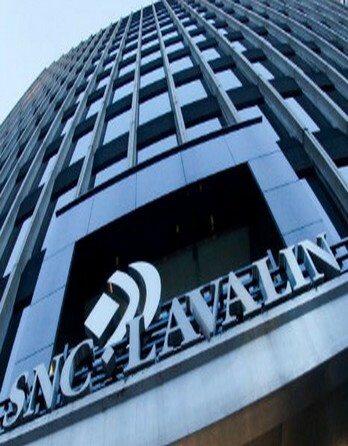 In 1991, Bernard, the older brother to SNC Lavalin’s subsequent head Jacques Lamarre, told Maclean’s that he always demanded a receipt when paying international bribes. “I make sure we get a signed invoice,” he said. And, as it turns out, in shaping the way things are now done at home in Ottawa. 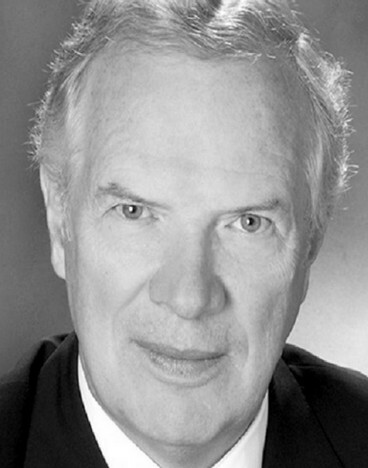 Yves Engler is a Canadian commentator and author. His most recent book is The Ugly Canadian – Stephen Harper’s Foreign Policy, and previously he published The Black Book of Canadian Foreign Policy and Canada in Haiti: Waging War on The Poor Majority. 3. Were Baltimore’s Corrupt Cops High When They Made Attempted Murder Arrest?